"Raila Odinga will be on the ballot on 26th October, 2017 whether he likes or not." DP Ruto said. - Bana Kenya News, Real African Network Tubanane. Home featured News "Raila Odinga will be on the ballot on 26th October, 2017 whether he likes or not." DP Ruto said. "Raila Odinga will be on the ballot on 26th October, 2017 whether he likes or not." DP Ruto said. Deputy president William Ruto welcomed the former Governor David Nkedienye to Jubilee. DP Ruto said that Raila Odinga will be on the ballot whether he likes or not. "We will make sure they join the bandwagon. Elections will be there on 26th October and we will add Ekuru Aukot on the ballot," said DP Ruto. “They (opposition) have done their calculations and they know they cannot defeat Jubilee in the elections. All these high sounding words they are using are mere excuses,” the Deputy President said. “Mr Odinga, you had claimed you had won. Don’t run away. 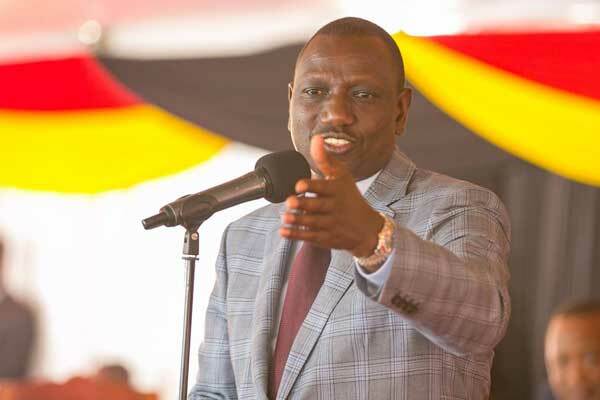 You have been given another chance,” Mr Ruto chided the Nasa leader. “We will not accept shortcuts to power. Whoever wants to lead Kenyans should subject himself to the people,” he added. “He wanted to avoid a humiliating defeat but the court today (Wednesday) has ruled that all candidates, who participated in August 8 (elections) will be on the ballot. So he will not escape another defeat,” said the Deputy President. Deputy President added that people should not be worried and the economy will be stable soon. People have been crying for the bad economic environment due to a poor business environmental condition caused by the daily Protests.